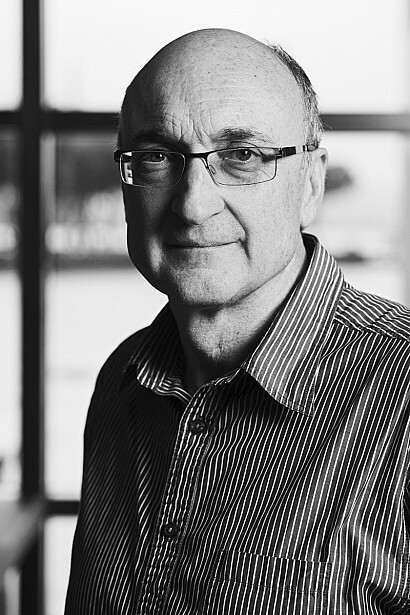 Stephen is responsible for documentation and project delivery at architecture+ and has overseen the design and construction of numerous award winning commercial, civic, corporate interior and residential projects in New Zealand. He is also involved in design development. Stephen Poulopoulos (Wellington 1956) studied architecture at the Victoria University School of Architecture in Wellington, New Zealand graduating in 1980. Stephen worked with E Neill Inkster 1983, Booth Sweetman and Climie 1984- 1987 becoming an associate, Structon Group 1987- 1991. In 1991 he established CS Consulting Limited and in 1994 he formed architecture+ with Anne Salmond, Allan Wright and Stuart Gardyne. Stephen has a particular interest and experience in establishing project delivery strategies and helping to convert great design ideas into appropriate construction solutions. He is also interested in teaching, and has been involved in teaching professional practice at both VUW for many since 2000 and for a period at Massey University.